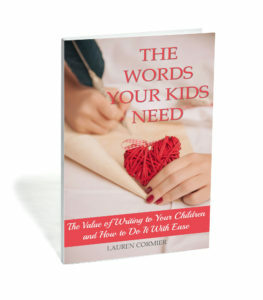 Below: If you’re drowning in toys and a holiday or birthday is coming up, you’ll love this non-toy gift idea for kids. It’s the BEST one out there! A big thank you to all the local businesses who donated tickets and gift cards to help make this post and the giveaway possible! Two or three Christmases ago, I jumped on the Pinterest bandwagon and put together a Year of Dates for my husband. I planned a golfing excursion, a night out to eat, and a group paintball date (sadly, we never got around to that one) among other things. I planned one date for each month of the year and pre-purchased all the necessary tickets and gift cards. Although we didn’t end up doing every single date, we did most of them, and in our 11 years of marriage we went on more dates that year than any other so far. 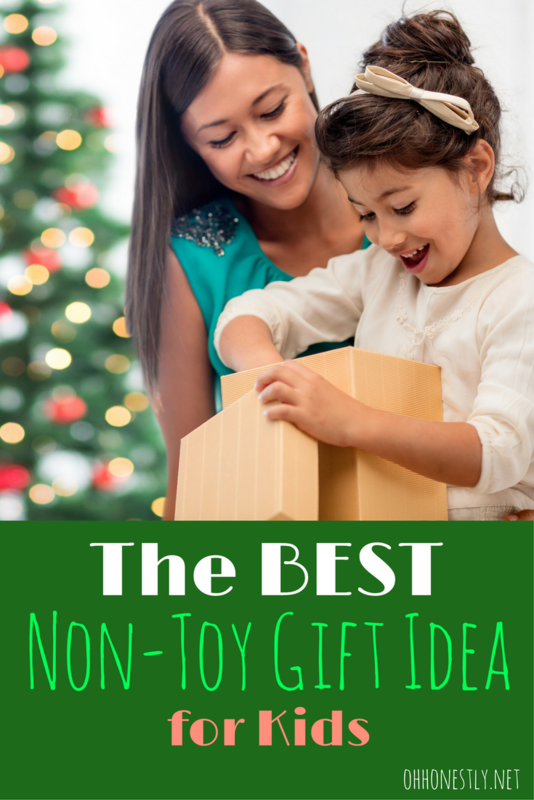 This year as I began to think about what to get our kids for Christmas, my mind went back to that Year of Dates, and it occurred to me that it could be modified for our family. Our kids do not need any more toys. We have a big room full of them (and then some) and most are never even played with. I hate the idea of buying stuff just to buy it. It’s wasteful and creates clutter in our already overflowing home. So when I came up with the idea of modifying the Year of Dates, I knew it was the perfect solution. Not only will we avoid buying gifts for our kids that they don’t care about, but we’ll also provide them with something far greater: Family time and precious memories. If you find yourself in a similar situation, I’m excited to present to you A YEAR OF EXPERIENCE GIFTS. This Christmas our kids will still have a few packages under the tree, but their big present, the one we’ll save for last, won’t be anything material. Instead, it will be a series of envelopes, one for each month of 2018, with an experience inside that we’ll do as a family. Below are the twelve experiences our family will be doing next year. Whether you live in my area and can go to these same exact places or whether you live far away and will choose similar experiences at different venues, I hope this list gives you a bunch of great ideas for making 2018 the YEAR OF EXPERIENCES. Every time we mention letting the kids choose something to do, the boys want to go to the Sports Arena. It’s no wonder why. There’s a huge room full of arcade games, another big room with bowling lanes, and an outdoor mini golf course. We won’t be able to play golf in January, but I know the kids won’t have any trouble using up their Play Card inside. Last year, when she was only in school two days a week, my daughter asked to go to the Maine Discovery Museum every single day. Now that she’s in kindergarten, she doesn’t ask as frequently, but it still comes up a lot. 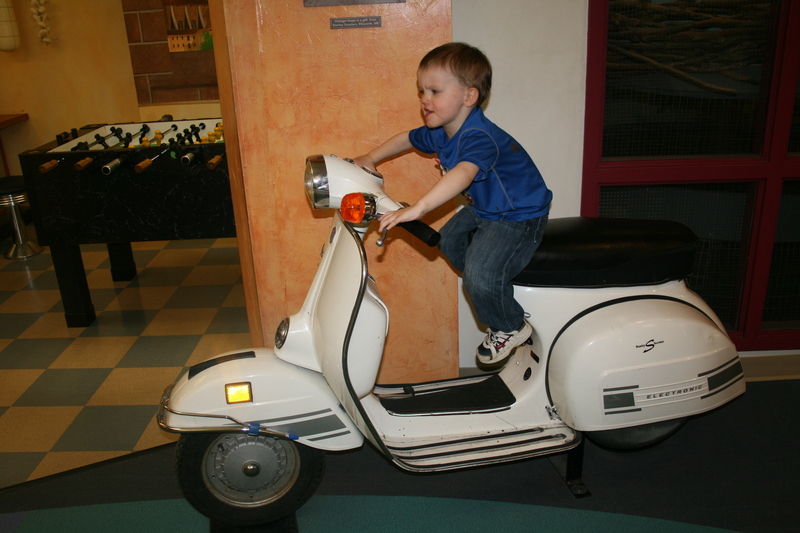 The Maine Discovery Museum has three floors of fun, interactive exhibits that my kids love and it’s the perfect place to go on a cold or rainy day. Alternate gift idea: If you don’t want to do a different experience each month, consider becoming a member of MDM! You’ll get access to the museum for a year, plus other perks, and all the options are very reasonably priced. Often times when I think of the theater, I think of a fancy, adult-only evening, but introducing kids to the theater when they’re young is the perfect time to do it! Penobscot Theatre Company offers several kid-friendly shows each year. My family is really excited to see Sideways Stories From Wayside School in November (we love that book! ), and I’m giving away four tickets to see Coraline in March. Alternate Gift Idea: If you have a budding actor in your home, sign them up for Penobscot Theatre Company’s Dramatic Academy. Three sessions are offered as after-school classes throughout the year, and your child (from four-years-old to 15-years-old) will not only learn from industry professionals, but will also have a chance to participate in an actual production! Here in Maine, April is the month when everyone reeeeally wants to get outside. However, we usually still have snow on the ground or everything is a muddy mess. 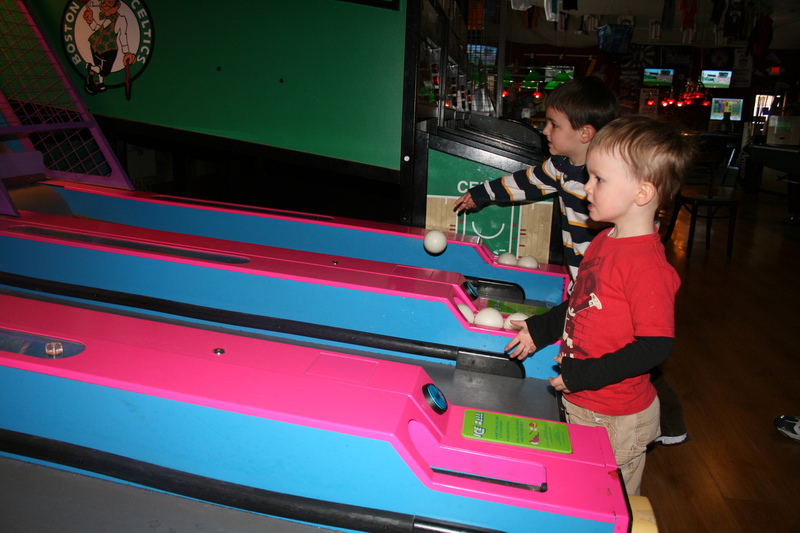 The kids need a place to release some energy, so it’s the perfect time to take them to an indoor play place. There are several options that I can think of: Bounce houses, trampoline parks, and ninja warrior courses are all great ideas. If you want a cheaper option, go to a play place at a fast food joint. The kids will love it and all it’ll cost you is the price of a Happy Meal. Late April/early May is the time that Little League starts up where we live, so it’s also the perfect time to make a family outing to the batting cages. Our local cages offer both slow and fast pitch which means everyone, from our five-year-old up to my husband, can take a turn. Some of the best experiences are free! Our adventure day will involve packing a lunch and heading out for a hike. We’ll picnic on the mountain peak and if it’s warm enough, stop for a swim at a nearby lake on our way home. 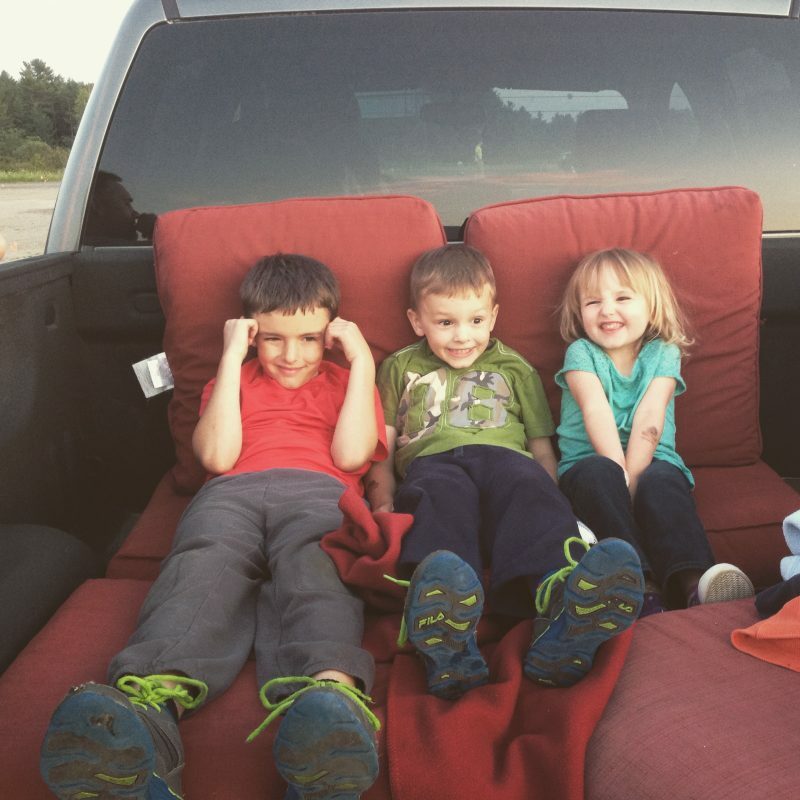 Going to the movies is always exciting for kids, but going to the drive-in takes their excitement to a whole new level. There’s just something extra fun about waiting until dark, bringing blankets and pillows, buying yummy snacks, and watching a movie on the big screen either from the comfort of your car or from the bed of your truck (that’s how we like to do it!). Bangor Drive-In is awesome because it offers double features for one low price. If you’re up for a late night, stay for both shows, or just watch the first one and then head home with your sleepy crew. I grew up in a tourist town, so there are a lot of places with ‘local flair,’ but one of my favorites is the Great Maine Lumberjack Show. It’s a high energy, funny, and interactive show that pits two teams of lumberjacks against each other in a series of contests. It’s also educational, teaching about the history of the lumberjack business as the show moves along. It’s been a few years since we’ve been, so I know that my younger two won’t have much of a memory of it, which will make it even more fun. Have you ever met a kid who doesn’t like trains? I haven’t. We took the kids on a train ride in New Hampshire when they were little, but only Eli remembers it. Just the other day, Samuel said he’d like to ride on a train, so I know he’s going to be excited to hear that we’ll be visiting Downeast Scenic Railroad next year. Our 90-minute ride will pass through forest, marshland, and a working rail yard. I can’t wait! 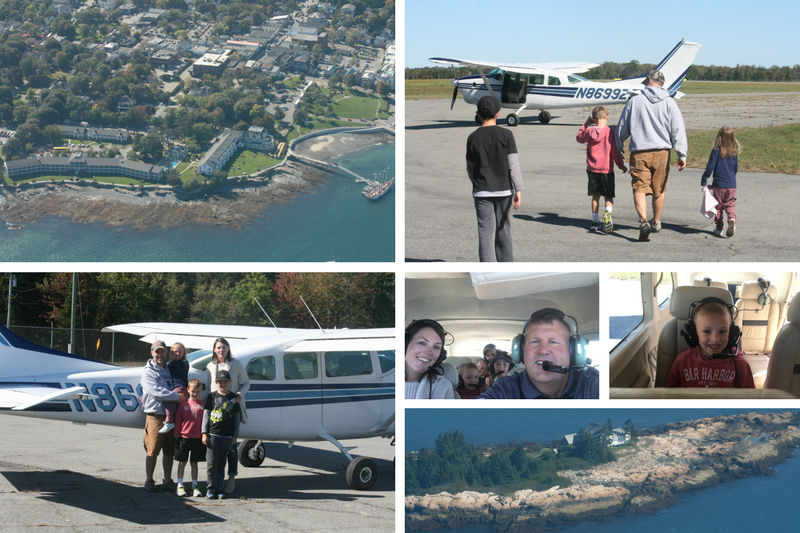 Our family had the opportunity to go on a scenic flight a couple of weeks ago and it was amazing. The weather was perfect, the leaves were just starting to change, and the views of Bar Harbor and Acadia National Park (which is where I grew up) were just breathtaking. Scenic Flights of Acadia offers several different packages, from 15 minute excursions to flights that last over an hour. Although they’re open seasonally, they’ll book flights in the off-season if you call to make a reservation. I think it would be awesome to see Acadia under the cover of snow and ice. They can accommodate up to a family of five in one plane and kids are half-price! Your kids will love the adventure of being in a tiny plane with the controls within eye view and a cool headset to wear, and you’ll love gaining a new perspective on the world. In my experience, even the smallest towns have an interesting array of museums. From modern art to telephones to antique cars, there seems to be a museum for just about everything. Do a google search and I bet you’ll find one that both you and your kids will find informative and fun. Nothing gets you in the holiday spirit like your favorite Christmas shows, and what’s even better than seeing them on TV? Seeing them live! While I don’t yet know what’s on the schedule for December of next year, I do know that Rudolph the Red Nosed Reindeer: The Musical is happening this December 13th at the Cross Insurance Center, so we’re going to surprise our kids with tickets to the show (it’s a school night; they’ll be stoked!). It’ll be a fun surprise and an awesome way to get even more excited about Christmas! So there you have it, 12 awesome ideas for an entire YEAR OF EXPERIENCE GIFTS. I can’t wait to give this gift to our kids and spend 2018 creating a ton of lasting memories as we adventure from one month to the next. I hope your family has as much fun as ours! If you enjoy picture-perfect home decor, perfectly prepared recipes, and perfectly behaved children, you've come to the wrong place. Meet Lauren. She isn't perfect, but she's perfectly real.